Heading to Santa Monica pier for a day at the beach? If you’re looking for free parking, you’re in luck. There are free parking spaces on most residential streets at metered spaces after-hours, but unfortunately no free parking on Sundays. 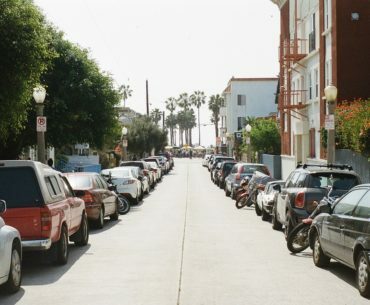 Some street smarts about Santa Monica parking to help make sure you don’t accidentally leave with a ticket. 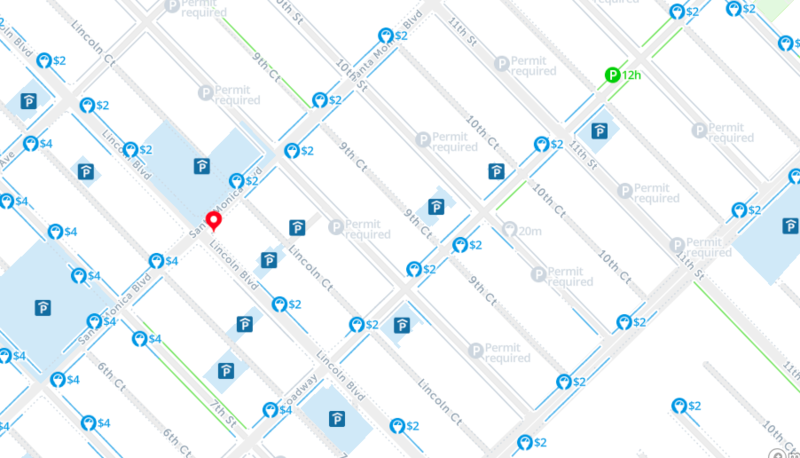 Type any address and use the time filters on the map below to find a free parking spot anywhere in Santa Monica. The map updates based on the time and date you choose, so you’ll always know whether that spot you have your eye on is free. No free parking on Sundays or weekends. 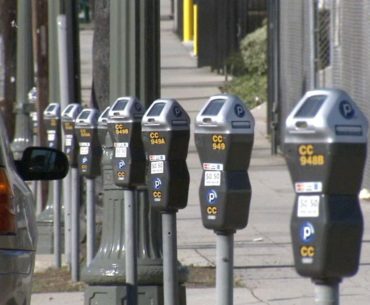 If you find a metered spot that’s open on a Sunday, you still have to pay for it. Most Residential areas have free parking all day. 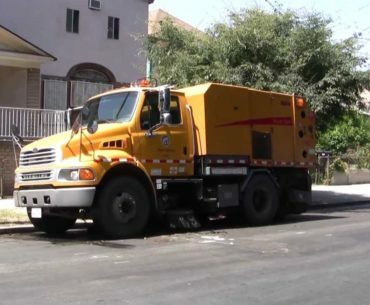 Check the signs nearest you and make sure it’s not a street cleaning day! Free parking at Santa Monica beach lots from 5:30PM until sunset. Score! Take an afternoon swim, play some beach volleyball, and buy an ice cream cone with the change you just saved. Free Overnight Parking. Most Santa Monica meters only operate throughout the day. Check the signs nearest you to determine when they are no longer enforced. Short trip? Most city lots offer free parking for the first 90 minutes. Just make sure you check with the attendant before you decide to drive through the gate. The Civic Center and Main Library also offer free parking for the first 30 minutes.